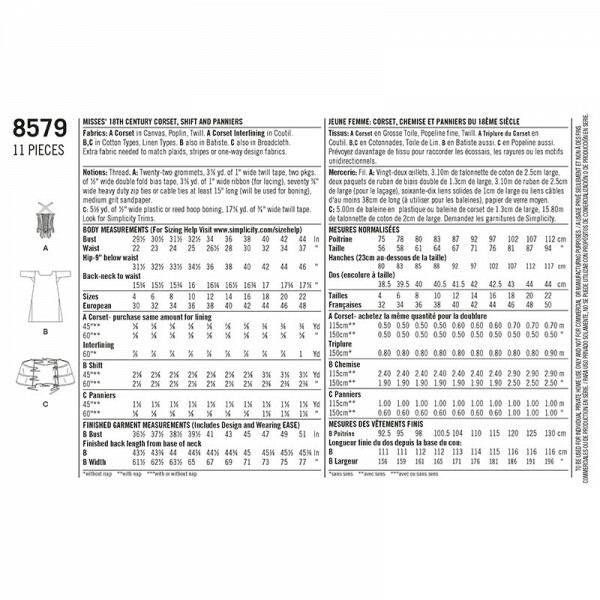 Simplicity 8579 18th Century Underpinnings Sewing Pattern provides the necessary undies for your mid-18th century look. Wear the shift, stays (corset), and pocket hoops with your robe a la francaise gown or pleated back English gown. 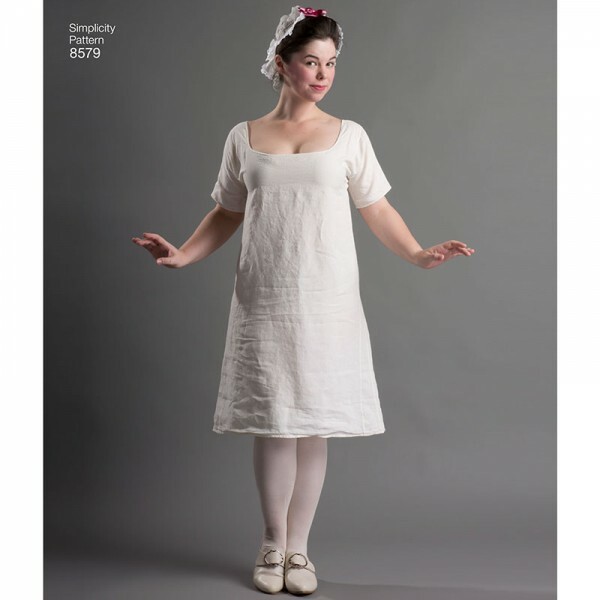 The shift is the most basic layer, made in lightweight linen, and can be worn for all decades of the second half of the 18th century. The stays create a conical shape perfect for early and mid-century styles. The pocket hoops provide the fashionable structure for wide Georgian skirt styles. 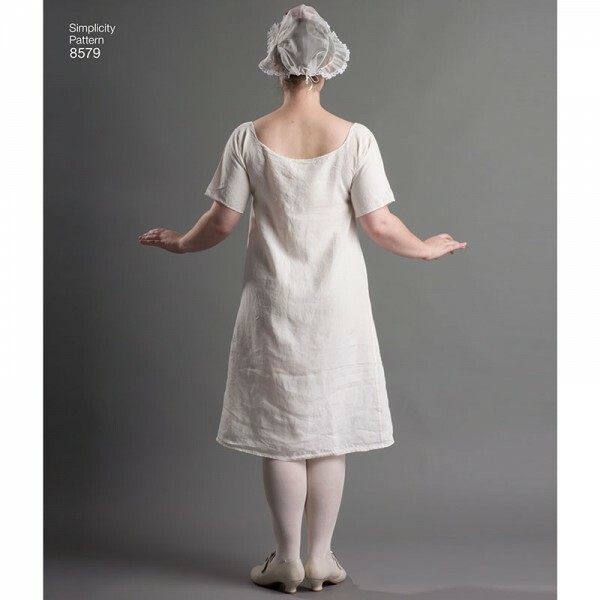 Use this pattern to create a full set of underpinnings before starting your 1760s sacque gown using Simplicity 8578 or The American Duchess Guide to 18th Century Dressmaking. Pocket Hoops - medium weight linen or cotton.